The winner of the contest for the iPhone or iPod Touch has been determined and will be announced this week. The result was delayed a bit massively by my staycation + vacation in August but I'll work on getting the Appledom into the hands of the new Spankmaster as quickly as possible. Personally, my Blackberry Curve + iPod Touch combo has been working pretty well for me. The Curve has actually given me a couple little problems (trouble with my Blackberry account; some crashing as well, due possibly I think to my Google talk application on it) but I'm retaining hope that it will be the perfect device with an improvement or two on my part. I will affirm strongly that, if you're often in the presence of wi-fi, the iPod Touch is a sweet sweet thing to have, especially if you don't have iPhone. 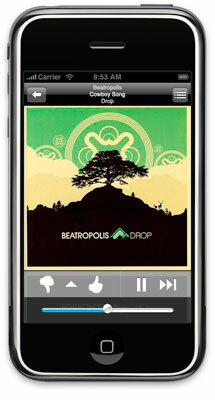 I have some beefs with iTunes and Apple, but the iPod Touch is SO great at lots of stuff (as is the iPhone!). If you haven't checked out Pandora for the iPhone or Touch, you really oughta do that. A little investment in Pandora goes a long way and I will heap praise on Pandora in an upcoming post.